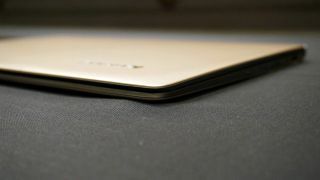 Are hybrid laptops wooing premium tablet purchasers? Premium ultramobiles have apparently been selling like hot cakes with analyst firm Gartner predicting that sales of that category will more than triple between 2013 and 2015. But rather than cannibalising the traditional PC device type, Gartner research director Ranjit Atwal suggests that existing tablets will fuel that growth. "Some tablet users are not replacing a tablet with a tablet, they are favoring hybrid or two-in-one devices, increasing its share of the ultramobile premium market to 22 percent in 2014, and 32 percent by 2018", he said. The premium tablet market is currently dominated by Apple's iPad models with the iPad Air 2 and the iPad mini 3 likely to cement its number one position. Gartner expects the slow demise of the traditional PC market to continue with a near 12% drop in shipment units between 2013 and 2015, one which will be more than compensated by the rise in Ultramobile Premium units. That will allow the PC market shipment to hit an expected 325 million units in 2015. The analyst firm further predicts that device shipment will stagnate until 2015 with growth for Android, Apple OSes and Windows coming from the rapid obsolescence of other operating systems such as Symbian or WebOS. That market is expectd to shrink by more than two thirds between 2013 and 2015.